The worldwide whisky boom has produced a parallel boom in whisky related tourism and whisky themed shows. Travel Scotland estimated that Scotch whisky distillers will receive approximately 2 million visitors in 2018, up about 10% from the previous year. The comparable figure in Kentucky, alone, was 1.3 million visitors in 2017. While Kentucky, the Kentucky Bourbon Trail and the American Whiskey Trail is home to many of America’s iconic and historic whiskey distillers, there are now more than 1,500 working distilleries in the US, virtually all of them smaller craft distilleries. It’s likely that the overall number of American whiskey tourists is much higher, perhaps double or more Kentucky’s whiskey visitors. The comparable number in Ireland is around 800,000 yearly visitors. The Irish Whiskey Association (IWA) has ambitious plans to triple the number of visitors to Ireland’s distilleries by 2025. There are no comparable numbers available for Canada or Japan, much less the smaller whisky producing countries, but it’s probable that whisky tourism is growing there also. In total, it is likely that worldwide there are more than 5 million distillery visits each year. The bulk of them in Scotland and the US. There is no way of knowing yet how many unique individual visitors this total represents. Presumably there are visitors who only visit one distillery, while there are others who might visit several. If the average whisky tourist goes to between 2 and 3 distilleries, then the number of individual whisky tourists is probably around 2 to 2.5 million. The average spend per distillery visit in Scotland is about $45. In Ireland, the average spend is about $80, while in the US it is around $50. Assuming an average spend of around $50, then whisky tourism is adding about $250 million dollars a year to distillery’s coffers. According to the Kentucky Tourism Board, the average whiskey tourist in Kentucky spends approximately $1,000 on their trip. Approximately 85% of Kentucky’s whiskey tourists are Americans and stay, on average, for 1 to 2 days. Foreign visitors stay longer and, presumably, spend more money. There are no comparable numbers for Scotland or Ireland. The difficulty in calculating those figures is that most whisky tourists do not travel exclusively to visit distilleries, although this is becoming more prevalent. Taking Kentucky tourism’s number as a reference point, however, implies that worldwide whisky inspired tourism injects upwards of $2.5 billion in tourism related spending into whisky producing areas. That’s a big number and one that is likely to get even bigger. Little surprise that government tourism agencies have targeted whisky tourism as an important source of economic growth. Whisky festivals are the flipside of whisky tourism. The first whisky festivals began as community celebrations in honor of the local whisky industry. Even festivals like the Spirit of Speyside whisky or Islay’s Feis Ile began as local community events that evolved into international tourist destinations. Today, both events attract thousands of annual visitors from around the world. They are among the better known of dozens of such local celebrations in whisky producing communities. The last several decades have also seen the rise of curated whisky festivals outside of traditional whisky producing regions. In one sense, this is simply another form of whisky tourism. Rather than bringing the tourist to the distillery, whisky companies bring their distilleries and their whisky to the tourist. 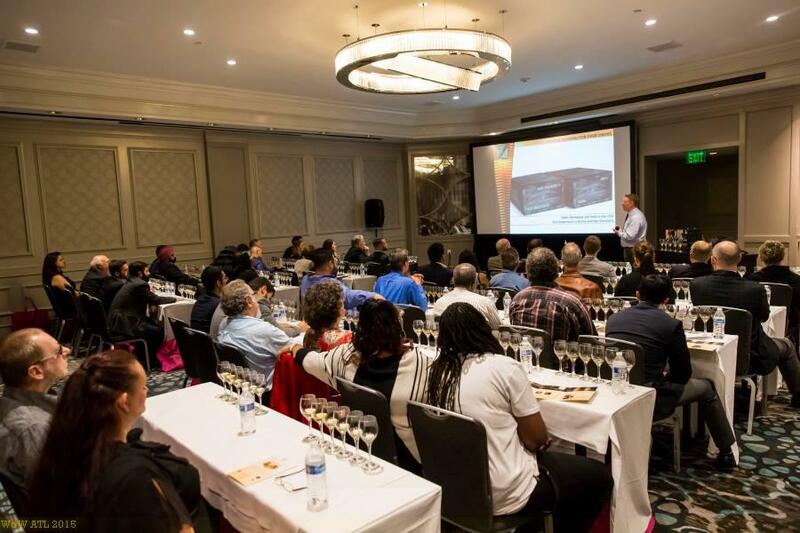 Several of these whisky festivals, most notably Whisky Live, Whiskies of the World, and WhiskyFest have evolved into multi-venue events, both across the US and internationally. Whisky Live, Whisky Fest and Whiskies of the World are the three largest organizers of large scale whiskey festivals in the US. All 3 organizations began their whisky festivals about 20 years ago—Whisky Live in London in 2000, Whiskies of the World in San Francisco in 1999 and WhiskyFest in New York City in 1998. These festivals have become a template that is now duplicated by a variety of organizations on a smaller scale. The typical commercial whisky festival is staged in a ballroom of a major hotel in a large city. Typically, 200 to 300 whiskies from a hundred or so producers are on offer. A dinner buffet is provided. Distilleries are encouraged to bring their Brand Ambassadors and their VIPs/Luminaries like master blenders, master distillers or distillery managers. In addition, a variety of master classes with guided tastings are offered. The typical attendance varies between 1,000 and 3,000 people. The three main Whisky Festival sponsors do approximately 20 US shows a year between them; attracting around 40 to 50 thousand people. Ticket prices vary between $100 and $400 dollars depending on the event. Typically, there are basic entry level tickets as well as VIP tickets that permit early entry and often access to rarer, more expensive whiskies. In addition, whisky companies pay festival organizers fees ranging from several thousand to as much as $15,000 to exhibit at whisky festivals. All in, the national whisky festival sector probably represents a $15 million-dollar business segment. In addition, however, there are hundreds of additional whisky shows, which are organized by a variety of other companies. These range from small retailer sponsored events to exclusive, high end, invitation-only gatherings. 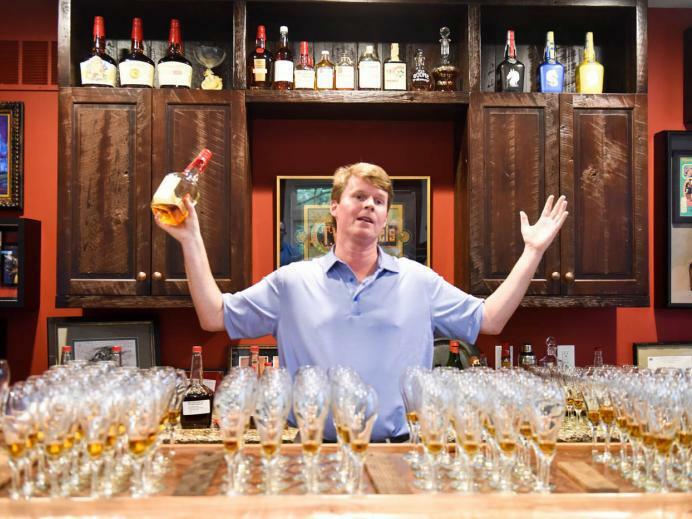 According to Martin Duffy, the organizer of the Chicago Independent Spirits Expo, many of the smaller shows are focusing on local craft distillers and attracting a younger demographic than the larger national whisky shows. Retail sponsored shows are smaller and usually have nominal entry fees. They are, however, the fastest growing segment of the whisky festival business. Most retailers see such shows as a natural extension of their retail activity. They already have the product, customers and industry relationships. All they need is a venue and a marketing campaign to fill it up. The Whiskey Obsession Festival, a 4-day whiskey extravaganza held in Sarasota each spring, bills itself as the US’s largest whiskey festival. Founded by Turner Moore, 6 years ago, the festival attracts several thousand people. There are 10 separate events within the festival. VIP tickets start at $195 per person, although some of the events require additional tickets to attend. Austin also lays claims to hosting the world’s largest whiskey event, although the Austin Liquor, Beer and Wine Festival is not limited to just whiskeys. The Kentucky Bourbon Festival attracts some 50,000 people over its 4-day run and is one of the single largest whiskey event in the US. The festival includes a variety of activities ranging from exclusive tastings to free concerts. VIP tickets start at $150 per day or $400 for the entire 4-day run of the Bourbon festival. Noted bourbon authority Fred Minnick points to Louisville’s Bourbon and Beyond Festival as the next evolution of the curated whiskey festival. The event combines bourbon culture with music and culinary events. 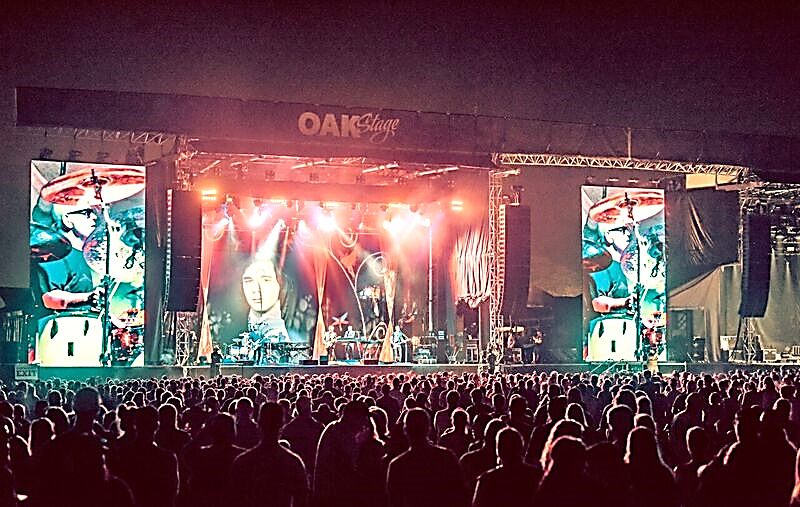 The 2018 Festival is scheduled for September 22 and 23 and features headline music acts like John Mayer, Lenny Kravitz, Sting, Robert Plant and Sheryl Crow, among others. It also features celebrity chefs, including Tom Colicchio, Edward Lee, Aaron Sanchez, along with a host of additional chefs. There are a variety of bourbon experiences, including, the Big Bourbon Bar, exclusive VIP tastings of rare bourbons, some going back to the era of Prohibition, as well as more fanciful pizza and bourbon pairings, a Tiki Barrel Bar featuring bourbon-based drinks and, of course, a speakeasy complete with the mandatory secret password to gain admission. The event also features hands on workshops and master classes that explore both the world of bourbon and innovative food and bourbon pairings. There are also opportunities to experience bourbon history in the making as, for example, when the Van Winkle and Willett families reminisce on stage about a life in bourbon. Some 50,000 people are expected to attend the Louisville Bourbon and Beyond Festival. Ticket prices begin at $150 for the weekend or around $100 a day. VIP tickets run about $500 for the entire run of the Festival. Far and away the most exclusive whiskey show in the US is the Universal Whisky Experience, also called the Nth Show, held each spring in Las Vegas. 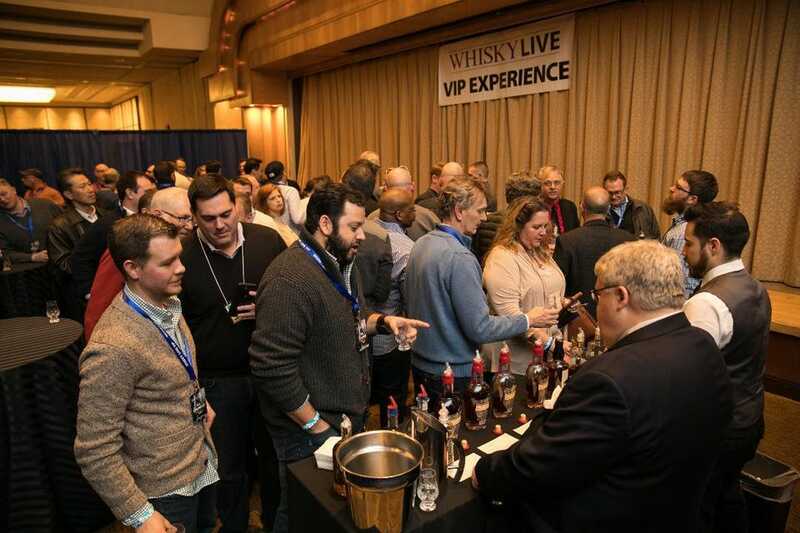 Organized by whisky entrepreneur Mahesh Patel, the show, although not quite by invitation only, markets itself to an elite group of high-end whisky connoisseurs. VIP Tickets for the 2018 show, termed High Roller, cost approximately $3,000 per person with entry level tickets about $545 per person. High Roller attendees had an opportunity to taste rare, legendary whiskies, including a still unreleased 1949 Glen Grant from legendary whisky bottler Gordon & Macphail and a rare Dalmore bottling. Much the same pattern is replicating itself around the world. Whisky Live has evolved into an international franchise with representation in 20 different countries and shows in 40 different cities. Owned by Paragraph Publishing in London, it is now easily the largest sponsor of whisky festivals in the world. Typically, local partners like the Celtic Whiskey Shop in Dublin or the Maison du Whisky in Paris organize the events in their respective countries. Worldwide attendance at Whisky Live shows is around 100,000 whisky enthusiasts. The Whisky Exchange’s annual Whisky Show in London is the UK’s largest whisky show. 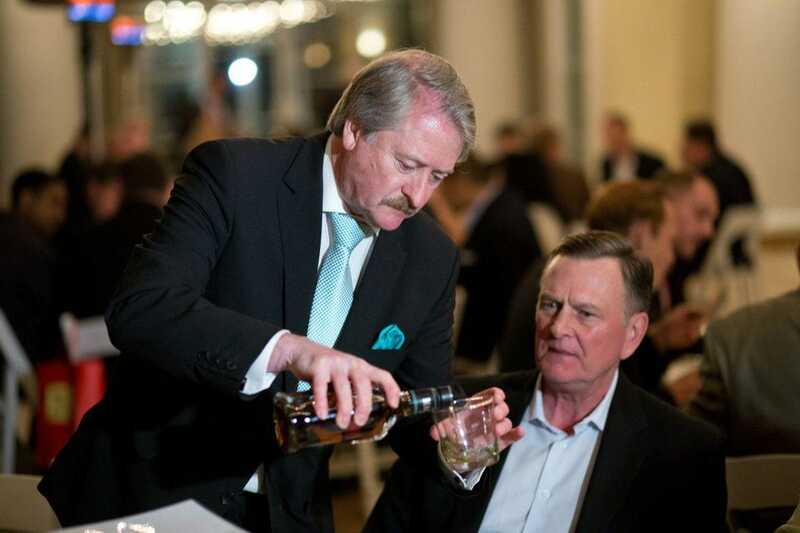 Eddie Ludlow’s The Whisky Lounge is the largest organizer of whisky festivals in the UK, sponsoring around 8 festivals a year. The most unusual festival is the annual Viking Line Whisky Fair. Each year, Viking Line, no relation to Viking Cruise Lines, sponsors a cruise on the Viking Cinderella from Stockholm, Sweden to Mariehamn, Finland. The 24-hour cruise is a floating whisky festival with participants able to taste from a selection of 550 whiskies as well as purchase whiskies at duty free prices. Although community celebrations of local whisky producers have been around for a long time, the modern concept of the whisky festival is only about 2 decades old. Even well-known events like the Spirit of Speyside and Islay’s Feis Ile are relatively recent. The Spirit of Speyside festival only began in 1999. Feis Ile began in 1985 as a Gallic Music and Culture festival. It was not until 1990 that the local whisky companies became involved by offering tours and special tastings. Today, even though Feis Ile is still technically a Gallic Music and Culture festival, it’s whisky component has become its predominant feature. Originally attendance at whisky festivals tended to skew towards older men; typical attendees were 45 to 65 years old males. Over the last decade, the demographics of whisky festival attendance has shifted toward a younger audience, while the percentage of female attendees has also increased. Worldwide, the average age of attendees is now 25 to 45, with 25% to 30% female. 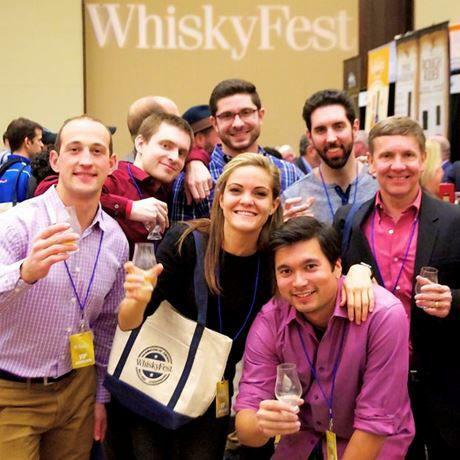 In the US, for example, Joan McGinley, the Director of WhiskyFest, has found that their attendance is skewing more toward millennials and women than before. According to Martin Duffy, many female drinking groups like Whisky Women, Whisky Chicks or Bourbon Women are now sponsoring their own small private shows. All indications are that the worldwide whisky boom will continue for the foreseeable future, although it’s unlikely to continue forever, and interest in whisky related tourism and whisky festivals will stay equally strong. The number of whisky festivals keeps growing, however, and may soon reach a point where the whisky industry will simply lack the personal and bandwidth to adequately support all these shows. Privately, whisky companies are already complaining that there are too many shows and that they will need to become more selective in the future on what shows they do support. The other wild card for whisky festivals is the mushrooming growth in gin festivals. The number of gin themed festivals is growing at an exponential rate, reflecting the burgeoning popularity of craft gins. If the rate of growth continues, the number of gin festivals will surpass that of whisky festivals over the next several years. Attendance at gin festivals is about evenly split between men and women and overall attendance skews heavily towards millennials. That makes gin festivals a far more attractive demographic for spirits companies to support. If you are a whisky enthusiast who has yet to attend a whisky festival, it’s time you take the plunge. If you are a frequent visitor to whisky festivals, rest assured there are still plenty of venues, and plenty of whiskies, to explore.